Build barracks to produce massive tanks, fighters or bomber aircrafts. One you have created an army worthy of great battles, equip your Hero with the invincible military gear and prove your supremacy on the battlefield. Send scout planes towards your target and, if the odds are in your favor, use brute force to destroy you enemy's Headquarters. 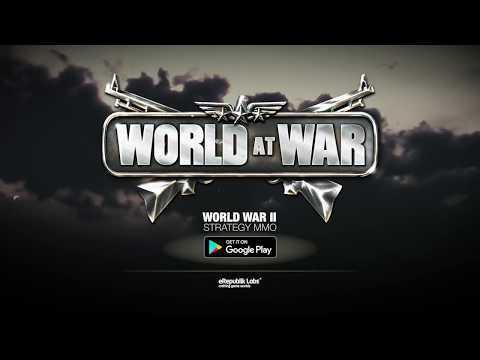 Great battles put you on the top of the rankings, making you renown for your strategic skills in military actions. Fights are not everything you need to know in a game of war: communication, leadership and social ties make the difference in battles' results. Chat and plan ahead with your alliance, but always keep your enemies close by. For feedback, contact us at support@worldatwarww2.com .